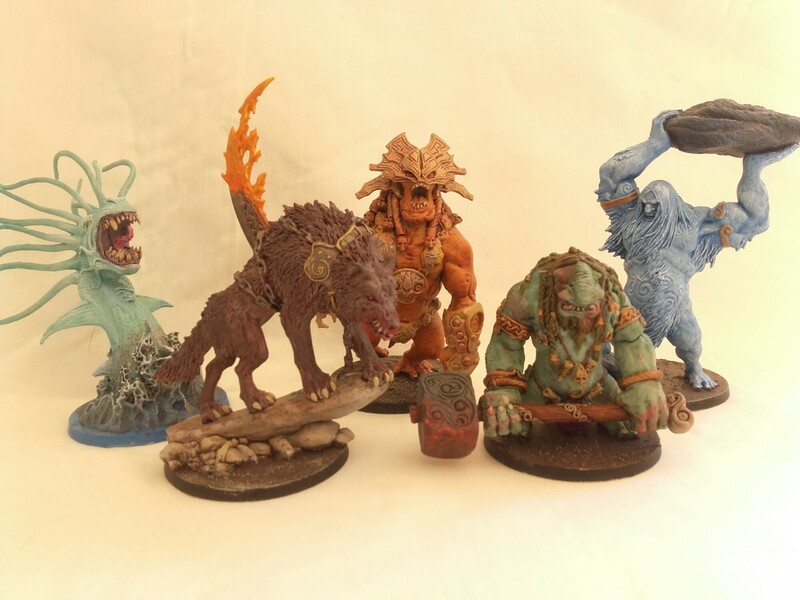 Here we have the five monsters you can summon to help your Vikings in the game Blood Rage, from Cool Mini or Not. I got these as a small commission for a friend and I hope they will add to an already enjoyable game. Blood Rage is steeped in Viking lore and legend and is a game combining the tactics of deck drafting, territories control, mission completion, strategic placement and combat. The feel of the game is intensely pleasing with great components and impressive miniatures. While it plays similar to Chaos in the Old World, the gaming experience is unique and the drafting allows an element of asymmetry. 9/10. Would Rage again! 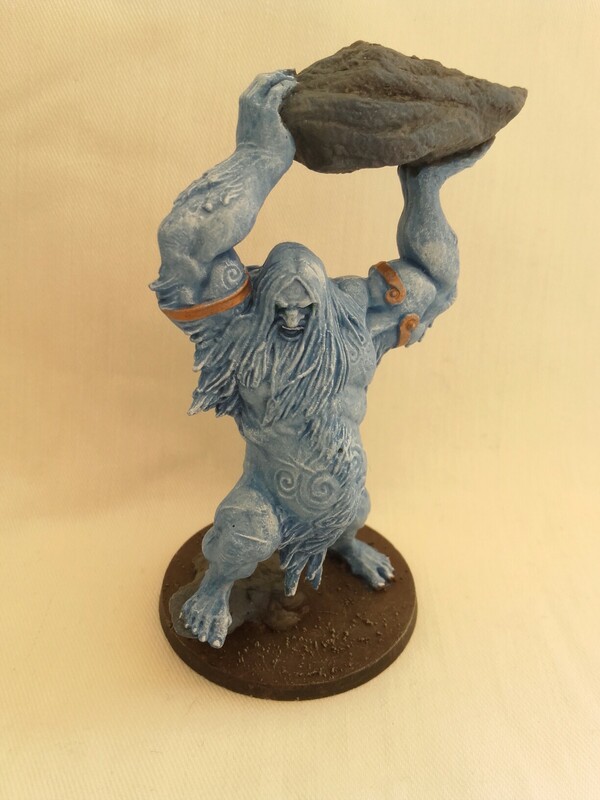 First up is the Ice Giant, this figure just came together itself. Layers of blue and white, dry brushing and attempts at blending. By the time I had finished the skin that rock he is about to hurl was mostly blue. Originally I wanted him to be hauling an chunk of ice at people, but it didn’t stand out enough. So a rock went in! 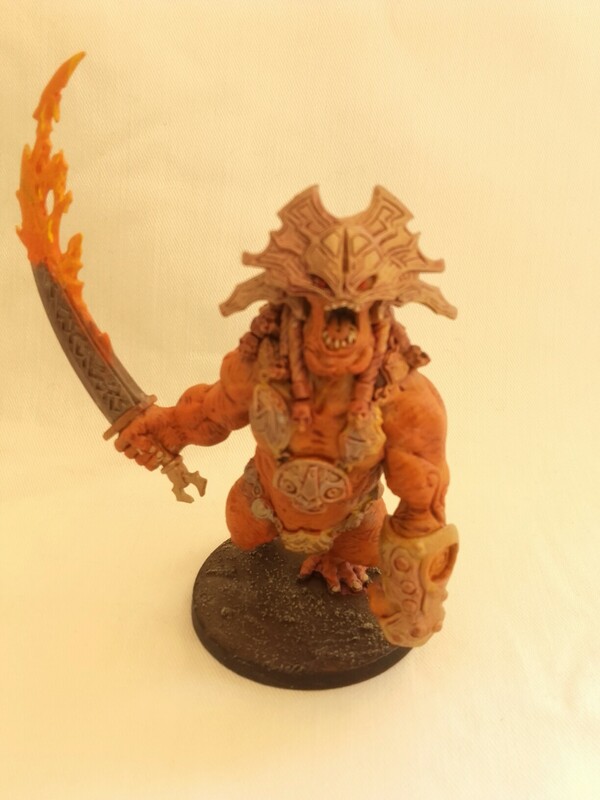 In contrast to the Ice Giant we have the Fire Giant. I wanted it to have a lot of matching tones, showing the fire burning within. 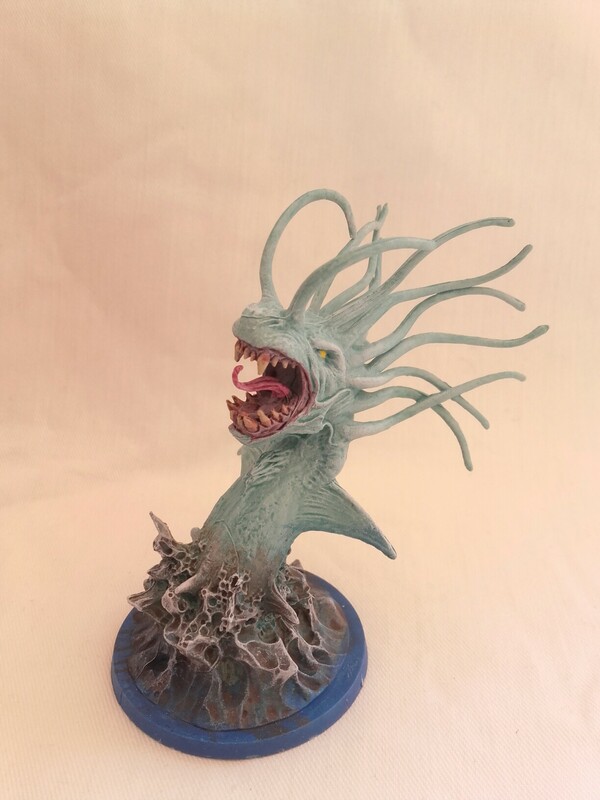 The only thing said to me by the client was they wanted the Sea Serpent to be emerging from a dark sea. Which I think I managed to catch pretty well, complete with foam. The serpent itself I had very pale, very little light in the depths. To contrast that when it’s mouth opens to horror begins. This mini was a pain to paint. As all these models come in one piece, including the base, it meant getting to the detail behind the hammer was a horror. But in the end I am happy with how it worked out, all bruised and battered. 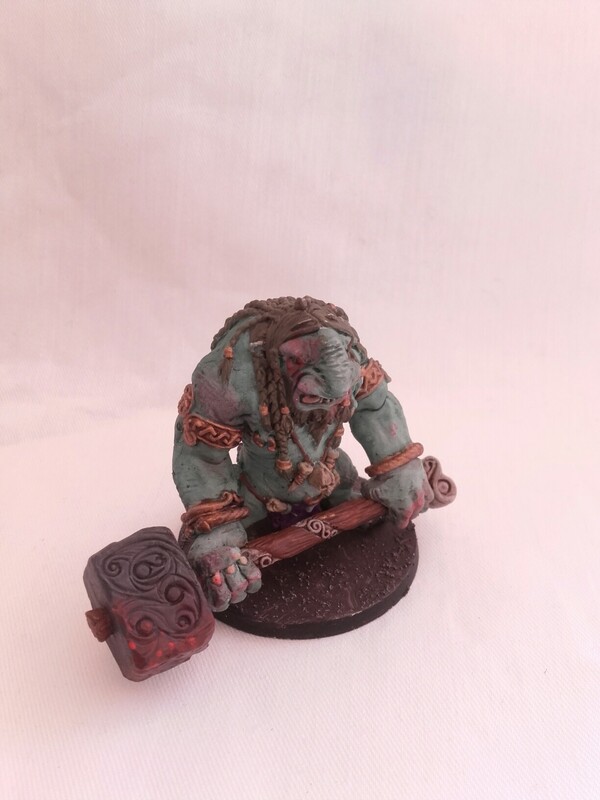 This one is the big fella, he can literally change the game as he moves Ragnarok around the board. 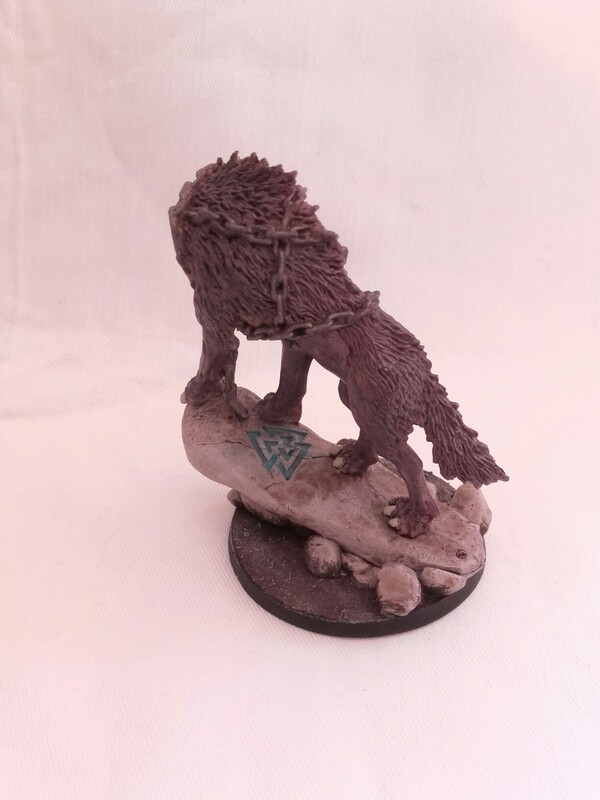 I am quite proud of how he came out, from the glowing eyes to the mystical rune he stands on. 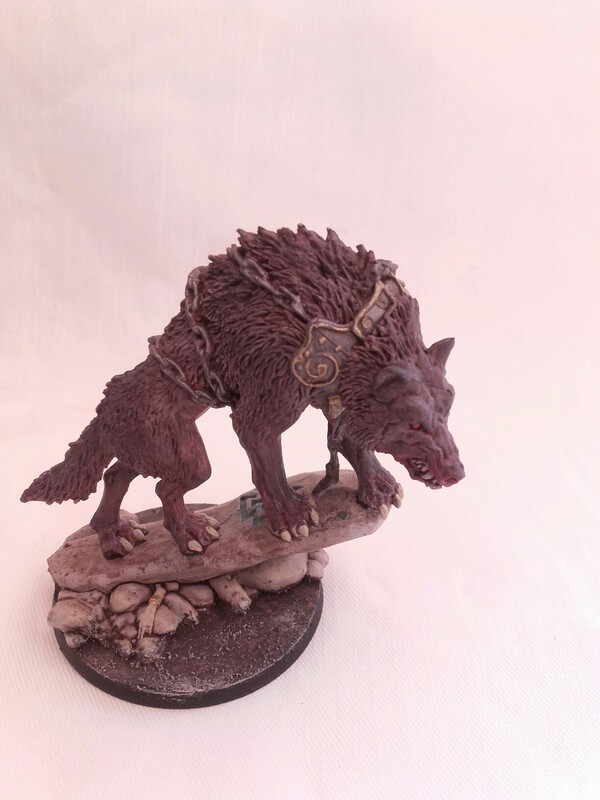 Something non-40K to paint was a nice break that I can recommend to anyone suffering burn out.